Module I describes general QA for procurement as per WHO’s Model Quality Assurance System (MQAS), including prequalification (selection) of pharmaceutical products and manufacturers; purchase of prequalified products; receipt and storage of purchased products; distribution of received products; and reassessment (monitoring) of pharmaceutical products and manufacturers. 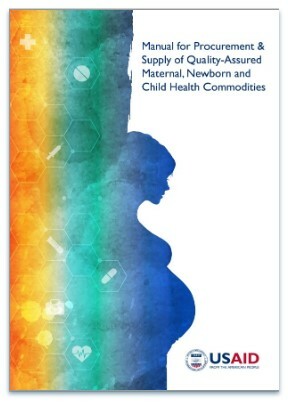 Module II sets out a pragmatic approach to assuring the quality of MNCH products that resource-limited procurement agencies may implement when assessing products for prequalification and procurement. Module III provides useful technical information on a subset of priority MNCH products, as identified by the United Nations Commission on Life-Saving Commodities for Women and Children (UNCoLSC), that procurement agencies can use to establish technical specifications for the product(s) to be prequalified. The complete Manual is available for download here. The Manual is available for download in Spanish here; and in French here. You can click on the table of contents below to download a particular section of interest.